With Thanksgiving fast approaching its hard not to fall head-over-heels in love again with Mr. Hotpants. Thanksgiving is his jam . . . he is an amazing cook, doesn't stress easy, enjoys food and loves football so this holiday was practically made for him. 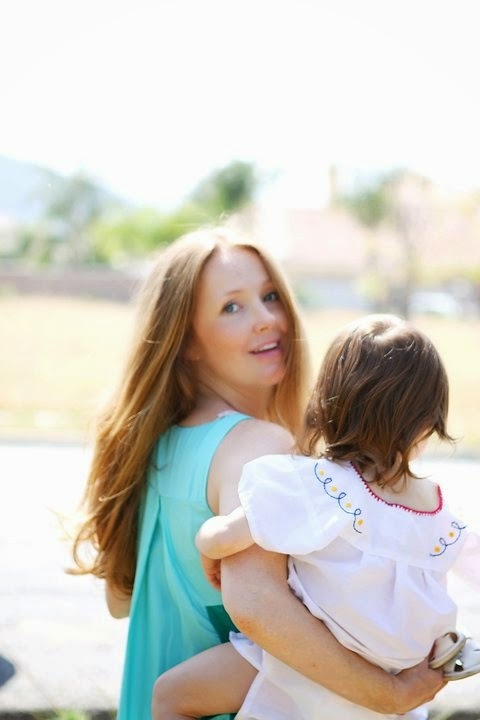 This will be our 2nd Thanksgiving in our home and I am super psyched. 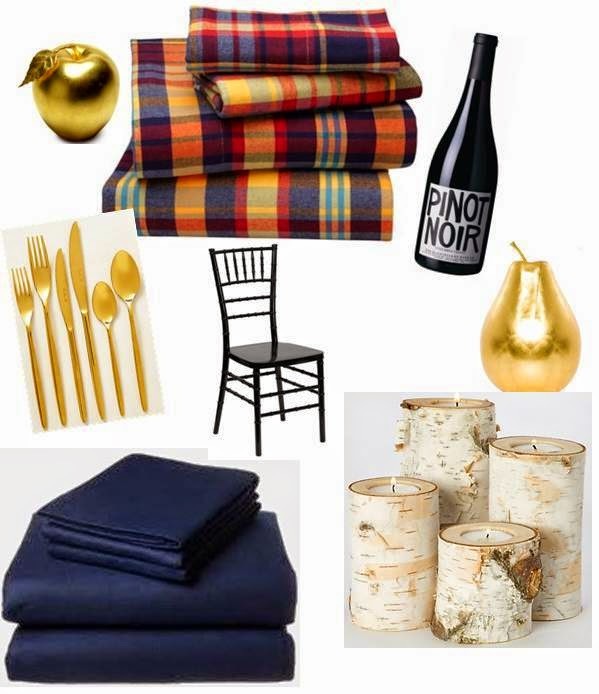 I'm going with navy blue linens, a tartan flannel overlay, gold accents, garden foliage and red wines! He is going with a smoked Turkey finished on the BBQ, mashed potatoes, sweet potatoes, green beans, brussel sprouts with homemade cranberry sauce, stuffing and gravy. But do you want to know why my heart bursts for this man, the father to our two wonderful baby girls? Because not only does he have a midterm right now and a paper due and is running his 2 clinics, but he is super excited about cooking this amazing Thanksgiving dinner for everyone. 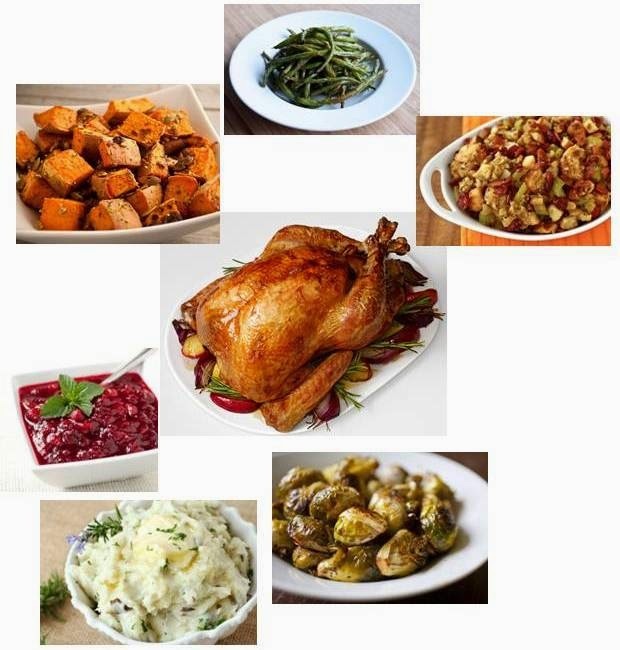 He has already ordered the apple-wood smoke chips for the turkey, has called around and ordered the exact turkey he wants, has looked at recipes for all the side dishes and thought about where everyone will sit. He has also said "anyone is welcome, the more the merrier!" and this doesn't stress him out (me on the other hand . . . lol). And to make sure everyone has fun, both the kids and adults, on his own he ordered some fun games . 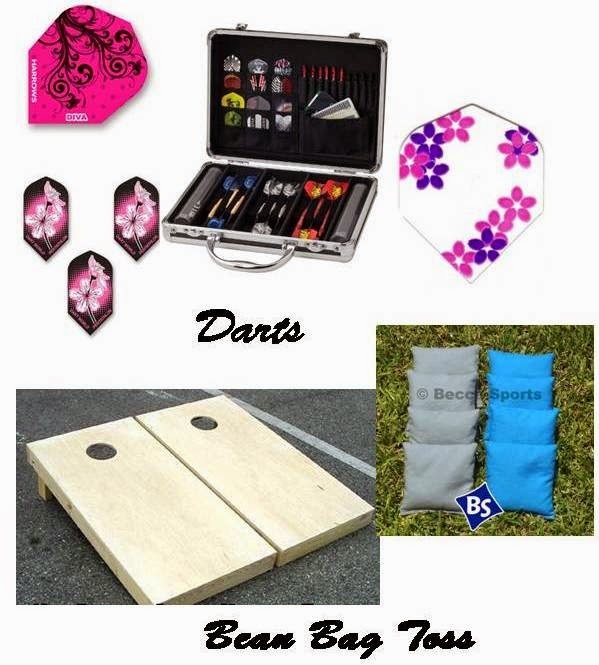 . . a bean bag toss and new dart supplies. His family always played darts at family get togethers so we have one set up in our garage now and how cute is it that he bought new pink dart flights for Emerson because she has started playing with him! We also have a bocce ball set to set up. Oh and because he has so much free time he has also brewed two new Thanksgiving beers for the big day . . . so there will be beer tasting going on too. Seriously he is absolutely amazing and I am the luckiest girl to have caught this tall gentle giant who has a heart of gold, can cry at Kleenex commercials, sings all day non-stop, who should have been in a boy-band and who loves us girls with everything he has.